Research reveals that more than 70% of the population is suffering from Dental Caries and more than 85% from Pyorrhoea. What\’s more disturbing is the fact that there are very few professionally managed and well-equipped hospitals to take charge of dental problems. 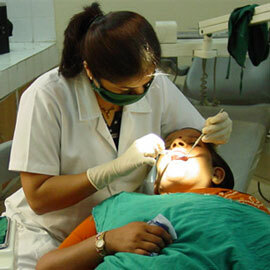 The Dentistry Department at Dr Jivraj Mehta Smarak Health Foundation (Dr Jivraj Mehta Hospital), in this sense is par excellence. Surgery for removal of wisdom molar,jaw cyst & tumour,jaw fracture.